[18:55] -NickServ- This nickname is registered. Please choose a different nickname, or identify via /msg NickServ identify <password>. [18:55] -NickServ- You have 30 seconds to identify to your nickname before it is changed. [18:55] -NickServ- You are now identified for DataBot. [18:55] -MemoServ- You have 2 new memos. [18:56] <yggdrasil> must reboot dsl modem, or something. [19:18] <Scriven> gordonDrogon, Got a ulcd question. Do you think it's worth it to code some sort of HID script to turn it into an actual system keyboard? An idea that's been poking around in my head l8ly, but I have no idea how big a project it is to chew. [19:51] <edwinsage> Is the firmware for the Pi stored on the board somewhere, or is it on the SD card? [19:52] <edwinsage> Ok, so I'll have to make sure firmware is kept up to date on each card rather than on each device, then. [19:54] <edwinsage> I'm prepping SD cards for an order of Pis that are lost in the mail somewhere. [19:59] <donta> ShorTie: what are you making? [20:28] <JakeSays> ShorTie: whats the current sensing board for? [20:53] <AsktonH> zombieman, did the pi crash/lose power during an x session? [20:54] <AsktonH> zombieman, on the console just run (without quotes) "rm ~/.Xauthority"
[21:11] <Skullclown> is there any way to efficiently detect a certain device on a network? the device would be connected via WiFi but with a random IP address, is there an efficient way to find this device? all I would know in advance is the open port and protocol, not MAC address. [21:13] <Bushmills> find it using what? [21:14] <Bushmills> is there another machine in the net you can find it with? [21:15] <Bushmills> put a vpn client on rpi. let it connect to a distant vpn server. [21:16] <Skullclown> no access to the internet. [21:16] <Skullclown> I could open sockets to every possible IP in the network with a timeout of 1 second but I imagine that's not ideal? [21:23] <edwinsage> Skullclown: What is the actual situation you're trying to find a solution for? Maybe someone could come up with a useful suggestion with some context. [21:26] <edwinsage> Skullclown: Is the Pi connecting to some pre-existing wireless network? [21:27] <edwinsage> If it's always connecting to the same one, I'd just configure it to have a static IP. [21:27] <edwinsage> If not, how are you telling it what to connect to? [21:29] <Skullclown> edwinsage: there is configuration needed on the RPi to connect to the wifi. however, the app on the mobile device should be able to connect to another wifi network with another RPi on it & automatically work. [21:30] <edwinsage> Skullclown: What is the end goal you're trying to accomplish? [21:34] <edwinsage> Skullclown: No, I mean are you trying to make phone-controllable video players in various locations that people can connect to, or are you leaving them set up in multiple locations and just logging into them yourself? I assume you want the Pis to have internet access, which is why you don't just have them broadcast their own networks. What are you trying to use them to do? [21:35] <edwinsage> Skullclown: Is this a large-scale project, or just a quickie you'd like to use yourself? [21:36] <edwinsage> Skullclown: And what are the wireless networks you're intending to do this on? [21:36] <Skullclown> edwinsage: large-scale, it's for an additional feature they'd like to add. not a required feature though and not necessarily a recommended one either, because of how it would work. we don't want to sacrifice time but if it only takes a second to scan the network, we want to add the feature. [21:37] <Skullclown> I can't go into too much detail on the specifics of what it'll do, but the RPi will server a web UI to clients using a mobile device. [21:38] <edwinsage> Skullclown: It sounds like the easiest thing to do would be to have the Pis all tell some central location what their IP is and on which network, and then have the app download the list and pick the address that matches the network it's on. [21:42] <gordonDrogon> ah. didn't scroll back enough. ho hum. [21:42] <Skullclown> another suggestion was nmap + ARP sweep, what is your opinion on that? [21:43] <gordonDrogon> I use static IP addresses. [21:43] <dagerik> how can i scan subnet with nmap for find my pi? [21:43] <Bushmills> why would you want to? [21:44] <gordonDrogon> is what I write some time back. [21:46] <dagerik> how do i query the nameserver? [21:53] <skfax_> What is the IC package used by the BRCM2835 CPU for the Raspberry Pi version B? [21:54] <MindOfGod> I'm getting "Segmentation Fault" when I try to create a chroot environment on a raspberry pi, anyone have any suggestions? [21:55] <Olipro> what does capacitor C3 do? [21:56] <MindOfGod> Bushmills: I think it's the chroot program itself. debootstrap installs all the necessary packages - but then chroot crashes with a SegFault. [21:58] <edwinsage> Bushmills: Now I'm curious. What would I type in the shell to get a plain-text readout from querying the nameserver? [21:59] <MindOfGod> I think it might have to do with which architecture I chose to install in the chroot. `uname -a` on my host installation says I'm running a armv6l, and I tried to install a armhf debian wheezy in the chroot. [22:00] <edwinsage> Bushmills: I was trying dig on Slackware, though there's no package for the Pi. It doesn't seem to be giving me info for the local network, though. [22:01] <yggdrasil> whats going on in here gentlemen? [22:01] <edwinsage> Bushmills: Then how would you use that to find a Pi on your local network? [22:02] <yggdrasil> edwinsage: your looking for your pi? [22:02] <yggdrasil> can you log into your dhcp server ? [22:03] <yggdrasil> also, you can download something like... angry ip scanner . and jsut scan the whole network. [22:03] <edwinsage> yggdrasil: Some previous questions got me curious. My own Pi hase a static IP on my network. [22:03] <edwinsage> yggdrasil: So I don't actually need to know, but I'm interested in finding this stuff out. [22:03] <Bushmills> in case of, say, dnsmasq as dhcp server in the net, that doubles as nameserver. both components in one program. [22:04] <netman87> why dont you guys make your pi have static AND dhcp ip number? [22:05] <MindOfGod> actually, chroot might be an overkill for what I need - basically, to change where a particular set of debian packages get installed (apache on a sd card is woefully slow.). Any easy way to get that done? apart from chrooting. [22:05] <Bushmills> netman87: because typing a (static) ip address is more effort than typing a (short) host name? [22:06] <edwinsage> Bushmills: I still don't know what I'd type into my shell, though. What's a command that would get local hostnames on a pretty standard ISP-provided router? [22:06] <netman87> so you can use address like "raspi"
[22:06] * Bushmills called his raspberry-pi-with-dynamic-address simply "pi"
[22:09] <Bushmills> sure, you can setup thing to work differently. [22:10] <edwinsage> Bushmills: Ah, the one computer I was trying on is configured kinda funky; it was trying to access the specified host by appending the external hostname used to access my network. [22:11] <Bushmills> JakeSays: you're sure you're not trying to run binaries from/for a different architecture? [22:16] * edwinsage has aquired marginally more knowledge about DHCP servers and local networks! [22:16] <edwinsage> I should be due for a level up soon. [22:28] <gordonDrogon> skfax_, so you don't have one yet? [22:29] <gordonDrogon> is it that important? [22:35] <JakeSays> but dang it is small! [22:38] <ShorTie> ssop package ?? [22:39] <JakeSays> "20-Lead Wide-Body SOIC"
[22:40] <gordonDrogon> skfax_, what you'll be cooling won't be the CPU - it's the memory chip that's on-top. [22:40] <gordonDrogon> skfax_, and the reality is that heatsinks are just not needed on the Pi. [22:45] <Bushmills> could you convert the TV to a door for a refridgerator? [22:54] <gordonDrogon> cutting stripboard to put SMT LEDs, etc. in-line. [22:56] <gordonDrogon> it never ceases to amaze me how creative some folks are though! [23:01] <gordonDrogon> chod, bbc basic is just /a/ basic. there are 100's of BASICs out there. [23:02] <gordonDrogon> however it was modeled on bits of bbc and apple basics. [23:02] <chod> what is your version lbased on? [23:03] <gordonDrogon> all the old 8-bit basics were limited in one way or another - there were trade off's aplenty. [23:03] <chod> can it accept 'basic' and work ? [23:04] <gordonDrogon> it is tokenised, but you never get to see that. [23:04] <gordonDrogon> you can use line numbers if you like. [23:04] <JakeSays> chod: you have something against tokens? [23:05] <JakeSays> Firehopper: i have one of those! [23:05] <gordonDrogon> it's tokenised mostly to speed up execution. [23:06] <gordonDrogon> so the downside is that the output of the list command isn't quite the same as you typed in - unless you use the editor, or an external editor and no line numbers. [23:07] <chod> gpio commands i guess ? [23:09] <gordonDrogon> I'm tidying it up a little for what might hopefully be a little commercial project. [23:09] <gordonDrogon> no call/peek/poke in RTB..
[23:10] <chod> can external stuff be called? [23:10] <gordonDrogon> peek, poke, etc. really were there in the early 8-bit basics to overcome limitations in the size of the interpreter. [23:11] <gordonDrogon> when you can afford a bit more memory, then you can have a triangle() keyword, rather than plot 85, ... and so on. [23:15] <gordonDrogon> I wasn't that enthused by bbc basic though. [23:16] <gordonDrogon> Oh it was a fantastic jump and I don't think any of the 8-bit systems ever matched it - ever. [23:16] <gordonDrogon> I owned a bbc micro - and an Apple II. 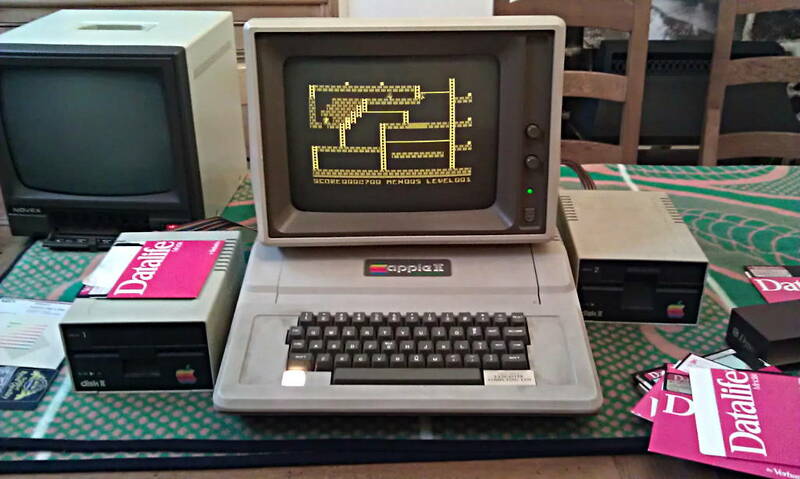 [23:16] <gordonDrogon> Still have the apple II, but I bought another a while back. [23:17] <gordonDrogon> my bbc was stolen, but I bought one a while back too. [23:18] <gordonDrogon> I'm after an Apple II serial card so I can copy off all my old Apple discs and hopefully preserve some of those old programs I wrote. [23:19] <gordonDrogon> they were expensive. [23:19] <gordonDrogon> I got one 2nd hand. [23:19] <chod> > a bbc ? [23:20] <gordonDrogon> no, bought that new - way back. I bought the Apple II 2nd hand. [23:20] <gordonDrogon> I was studying/working when the Beeb came out. '82. [23:20] <gordonDrogon> Saw my first apple in 78. [23:25] <gordonDrogon> that was my first experience. [23:25] <gordonDrogon> they were mark-sense cards though - you wrote on them in pencil. [23:25] <gordonDrogon> into an HP desktop basic computer thing. [23:27] <JakeSays> gordonDrogon: lol "desktop computer"
[23:29] <JakeSays> chod: cornerstone.. those sound familiar - super high resolution? [23:35] <chod> dual video out using seperate terminals ? [23:35] <chod> one each output? [23:52] <ant_thomas> I've just managed to accidentally kill the D17 TVS Diode. I've removed it and ordered a replacement. But the over-voltage came via the USB port rather than microUSB. 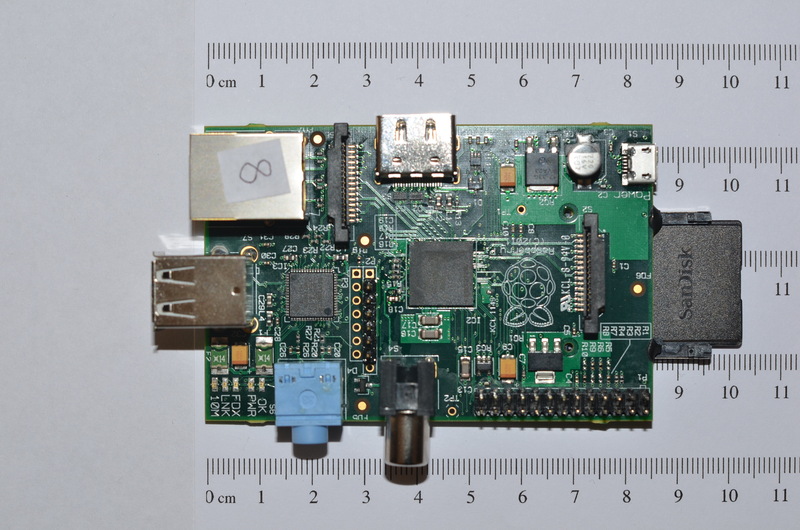 Is there a chance the rest of the RPi is fried too? [23:57] <Tickle> I don't know then sorry.